Ice cream has become the go-to treat when you’re craving something sweet. For those wanting a little something different, its sassier Italian cousin gelato hits the spot! Gelato has gathered many fans across the desert of Nevada—some may even call it their favorite dessert. 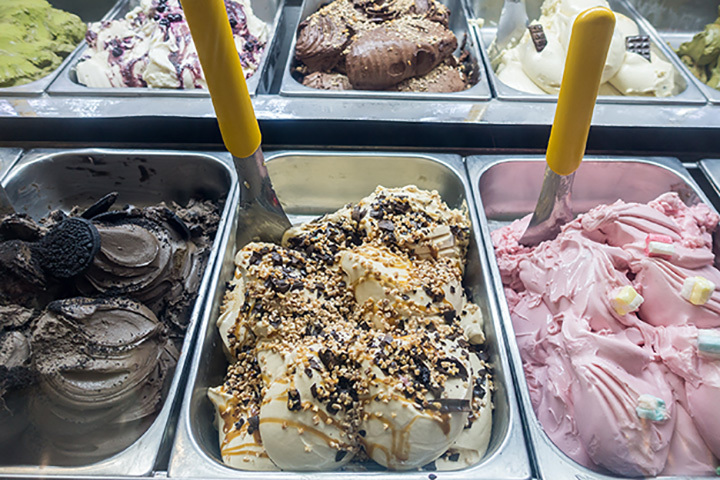 The next time you have a craving for a new flavor, try one of our picks for the top 10 gelato shops in Nevada. Ten miles away from the strip, this spot is worth the adventure to find. They fancy themselves more of a lab than a ice cream shop, and their creative flavors change every day. Whether you want something super sweet or more unique, there is something for everyone. Vegan and gluten-free items included! This adorable shop combines a sweet treat with true artistry. They transform a splendid mix of glelato flavors into a personalized Amorino Rose before your eyes. The presentation alone is magical. The flavors are deep in true Italian traditions. This quaint little shop takes the art of gelato to the next level. They not only offer some of the best desserts around, but also have classes to learn the art. This is a yummy treat and a learning experience all rolled into one. Steve knows his ice cream and this includes gelato! Everything at this old-fashioned soda shop is made from scratch. The amazing ingredients set this family favorite apart. An authentic Italian experience is what you will find at Ferraro's. That of course includes some handcrafted gelato for dessert. An evening of fine dining followed by dessert will not disappoint. Whether you enjoy their gelato in store or find their food truck, it is sure to please. The flavors are creative and the texture is spot on. It is nice to be able to catch their truck out and about as well. The combination of handmade pastries and gelato make these desserts extra special. The shop is small but worth a visit for the tastes alone. The flavors here are fresh and change often. The best bet by far is the rum raisin, it will never let you down. The tropical flavors like coconut are also something different. Everything is made in house and worth the drive. If fresh is what you are looking for, this is the spot. Everything is made on site and the attention to detail sets them apart. The flavors are crisp and true to what you expect from gelato. They offer something for everyone from traditional ice creams to the adventurous gelato flavors. This quaint little spot has become the go to spot for frozen treats on the way to Lake Tahoe for many families. It is a quick trip into town to dine on some amazing and fresh frozen treats. They offer a full range of dessert choices including gelato, ice cream and frozen yogurt.